Cleaning chandeliers used to mean taking them down and washing them bit-by-bit, or a bit of precarious balancing on a ladder with a bowl of soapy water. 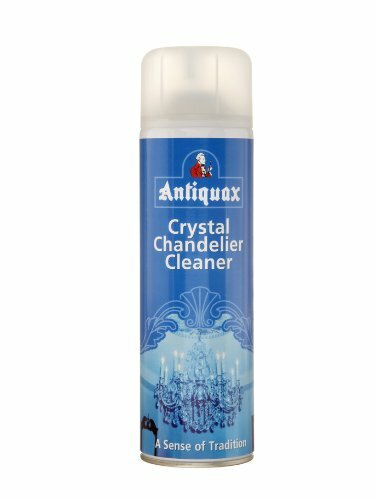 Heave a sigh of relief then if you have a chandelier or an ornate cut-glass or crystal shades - all you need to do now is place a towel on the floor below it, and spray on this special cleaner and all the dust and dirt just drips off. What a lot of time and effort it will save! Attention this product may adversely affect acrylics, polycarbonates or coatings. Do not use on clear or stressed plastics or coated parts. Built up dust and dirt may require wiping.